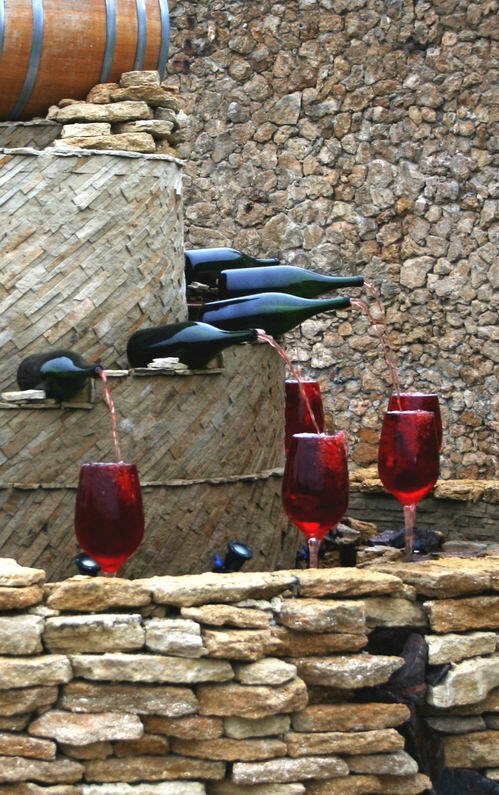 Gregory Alonzo: Moldovan Wines … So where is Moldova? Peering out from the Terrace Bar in Chisnau’s luxurious Savoy Hotel, I have a wonderful view of the capital’s city center. Considering that Moldova is one of the poorest countries in Europe; the Savoy is a welcome surprise of total elegance and a stylishness that one would not expect to find in the former Soviet Republic. If you are not quite sure where exactly is Moldova, rest assured that you are not alone. Secreted between Romania and Ukraine, and close to the Black Sea, Moldova’s recent history has been quite tumultuous. At one time, Moldova was part of Romania. The people are not Slavs, but Romanian, with a large Turkish presence. Some of Moldova’s territory includes about 70% of Bessarabia, with the remaining 30% now controlled by Ukraine. However, let’s not forget that on Moldova’s eastern border, along the Dniester River, lies the breakaway territory of Transnistria. For those of you who are now totally lost and have no clue as to where I am, rest assured that I am somewhere in Eastern Europe, in a country with a 4,000 year history of winemaking. I am also comfortably enjoying a glass of wine with my friend and fellow sommelier, Valeria Dadiani. Our table had also been impeccably set with an assortment of nuts, cheeses, and fresh fruits. I was also excited to taste the wines Valeria had selected for us. I am relatively new to the wines of Moldova, but over the past 3 years, we have done quite a bit of business together. “Gregory, how is it you first came to Moldova to learn about our wines?” She queried. “And what did you discover?” Valeria was quick to ask. Our first wine was a Cricova Vin de Colectie Gratiesti 1990. This is an interesting sweet wine made from 100% Rkatsiteli grapes and aged in French oak for 5 years. Once the wine has been bottled it is sealed under cork and a wax capsule. Our wine had a burnished coppery hue, along with a rich orange-gold, and shimmering notes of red. The nose clearly declares an oxidative style, with woody baked fruit, and an earthy character that dominates. There are also aromas of nuts and raisins. On the palate, it begins with a rich fleshy style before it reveals flavors of nutty fruit. The finish is distinctly characteristic of this style of wine and the region. For the novice to the wines of Moldova, the oxidized style may be a bit too dominant. "The fountains are just decorations in the garden of the Milestii Mici Estate. Underneath is the real treat, the world's largest wine cellar .... )))"
The grandeur of Moldova’s wine heritage can best be found in Cricova. The region is located just north of the capital city, Chisinau. Perhaps the most famous landmark, and originally what took me to this fabled area were the cellars of the Milestii Mici Estate. Sitting atop a labyrinth of cellars, the estate stores more than 2 million bottles of locally produced wines in some 155 miles of corridors. 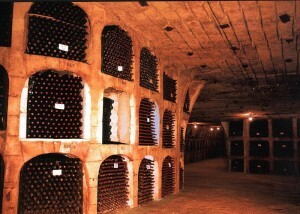 Milestrii can proudly boast that it is the world’s largest wine cellar. This is an excellent semi-sweet white wine. It is partly barrique aged with an alcohol content of about 12%. In color, our Cotnari was a golden yellow, and most soothing to the eye. On the nose, there is the distinct bouquet of apricot followed by an almost tranquil scent of wild flowers. On the palate, there is a walnut and almond quality that I enjoyed immensely. This is a wine to be enjoyed after a fine meal. Grasa de Cotnari can boast a long and proud history in Moldova. Since the rule of Prince Stephen the Great, Grasa de Cotnari has been producing quality wines for over 600 years. 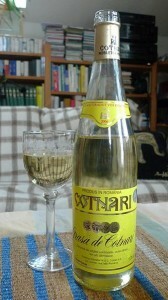 Like so many wines produced throughout this part of Europe, Grasa de Cotnari is affected by Botrytis Cinerea (Noble Rot). Typically the grapes are picked once they begin to shrivel. Though this grape varietal originated in Romania’s Transylvania region, Grasa de Cotnari is only cultivated in Moldova. This wine was made of 100% Babeasca Neagra grapes with an alcohol content of about 13%. It is a lovely light red in color. The name Babeasca Neagra is quite fitting. The translation is “grandmother’s grape.” On the nose, our Babeasca displayed notes of black olives, plums, raspberries, and mulberries. I also noticed the slightest hint of graphite. On the palate, our Babeasca was well-balanced fruit and tannins. I particularly enjoyed the delicious suggestions of spice and chocolate. This wine has good length and a tangy, fruit-filled finish that would please anyone’s grandmother. Valeria was quick to add that our Senator Babeasca Neagra 2006 hails from the Insuratel region which lies in close proximity to the Black Sea. She also shared that the region’s sandy soil accounted for wines of high acidity. 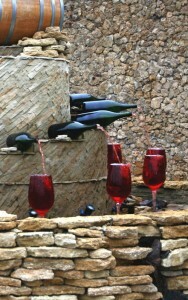 This style of wine is quite popular in Moldova because it pairs nicely with most foods and is made for current consumption. However, Valeria also noted that the very highest quality Babeasca Neagra are made in the Nicoresti District and quite suitable for aging. “Surprise me,” I exclaimed in anticipation.